More and more information is being visualised. Diagrams, data and information graphics are utilised wherever increasingly complex elements are present, whether it is in magazines, non-fiction books or business reports, packages or exhibition designs. Data Flow presents an abundant range of possibilities in visualising data and information. Today, diagrams are being applied beyond their classical fields of use. 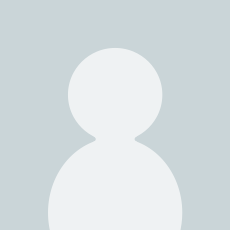 In addition to archetypical diagrams such as pie charts and histograms, there are manifold types of diagrams developed for use in distinct cases and categories. These range from chart-like diagrams such as bar, plot, line diagrams and spider charts, graph-based diagrams including line, matrix, process flow, and molecular diagrams to extremely complex three-dimensional diagrams. The more concrete the variables, the more aesthetically elaborate the graphics sometimes reaching the point of art the more abstract, the simpler the readability. The abundant examples in Data Flow showcase the various methodologies behind information design with solutions concerning complexity, simplification, readability and the (over)production of information. In addition to the examples shown, the book features explanatory text. On 256 pages, Data Flow introduces a comprehensive selection of innovatively designed diagrams. This up-to-date survey provides inspiration and concrete solutions for designers, and at the same time unlocks a new field of visual codes. 5.0 out of 5 starsBook was as described. I was originally looking for a book called 'Mapping' by Roger Fawcett-Tang & William Owen, but it is now out of print. 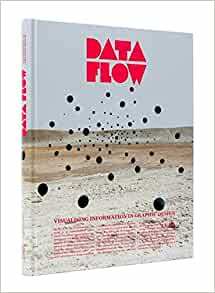 Then I saw an ad for the Data Flow book on a Design Week blog and after doing some research online, bought it. It is a really amazing book - just the kind of thing I love. Smashing! Great book, like other from gestalten. Better then the Data Flow 1, because in this one there are a lot of theory, description and good stuff...! 4.0 out of 5 starsGood eye candy, yet useful. A lot of the material in this book doesn't amount to much more than eye candy, but I find it useful because it offers some different ideas into how information graphics can be visualized. At the very least it can make you pause and wonder how you might approach providing static information. I'm glad I got it. Also, this same book was $78 in the store and I got it for much cheaper from Amazon. Personally, I like work as presented in this book because I believe that form and function can coexist and that seems to be something that plays a role in the future of design. There is an idea that a design must be either form or function, the former being the negative. The examples in this book show this to be an outmoded way of thinking and approaching design. In my world, something that is pleasing or engaging invites the non-designer to explore the information. That's a plus in a world where most people take information for granted. That's my two cents and I hope you enjoy the book. One last thing. I got this book not only new, but sealed. Amazon did a great job on this order. Just got my copy yesterday, and while it's a beautiful book to look at, much (if not most) of the text is so small that it really does require a magnifying glass to read, at least for this late-middle-aged reader. As several others have noted, for a book about information design, it's rather poorly designed. On the other hand, it's a nice coffee table book, if all you're looking for is cool images. This is a wonderful book that shows numerous examples of Information Aesthetics. My problem with the book is I was hoping for something that showed good examples of how to visualize data and make it aesthetically pleasing. Unfortunately for me the book mostly focused on Aesthetics and some of the examples where actually very poor at communicating the content of the data which would have been great if they were listed as anti patterns. Regardless of my criticism I am happy I purchased the book and have found some interesting and useful examples. If Amazon allowed half ratings I would have rated it 3.5. 28 people found this helpful. I loved this book. It really opened my eyes about the possibilities and limitations of what visuals can communicate. In our advertising and political age, I see infographics being bigger part of how we absorb information. Especially in schools, there will be shift. This is not a diluting the message, but understanding that different mediums communicate better. 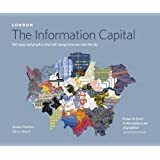 This is a fabulous book for anyone who is faced with combining information/data and design. It's not the most practical in the sense that the design solutions are very conceptual and so design-driven that you might not be able to apply to your particular graphic design job. But the art is so great it is worth getting every bit of inspiration possible.